Malibu, California is a coastal community located less than 20 miles west of Santa Monica. Malibu is a destination known for its picturesque beaches and beachfront homes that belong to celebrities, businessman and many other successful individuals. Owning a beachfront home in Malibu is more than just a luxury, it’s a statement and a lifestyle. Imagine waking up to the sounds of waves crashing and seagulls. Imagine walking to the beach and enjoy a nice surf session. Imagine being neighbors with movie stars and pop icons. These are the benefits of living in the iconic beachfront town in California. Carbon Beach is one of the top locations for Malibu beachfront real estate. For many years this beach has been known to the locals by “Billionaire’s Beach”, where it housed many successful individuals from the entertainment and tech industry. For many years, access to this beach was limited as many homeowners in Malibu hid public entry points with fake signs, doors, and gates. However, in California the area from the water line to the mean high-tide line is to be considered public beach, so technically none of these houses “own” the actual beaches. Thanks to a newly constructed coastal access to the west of Carbon beach, the public finally has access to the public beaches. 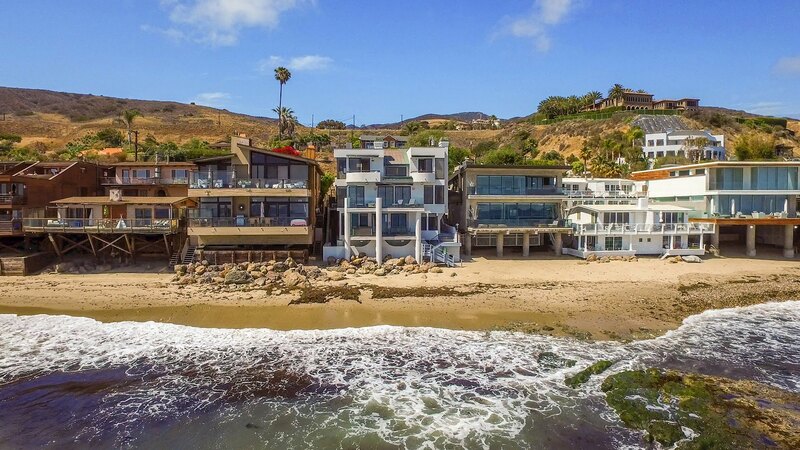 Sharing the beach with the public is a small price to pay when you own a beachfront home in Malibu. In the weekdays, there are not a lot of people and traffic as most people only come to Malibu in the weekends for a day trip to the beach. Malibu Road is another great location for beachfront real estate. Malibu road is a stretch of road that runs parallel to Pacific Coast Highway. Malibu road starts around the Chevron gas station on Webb way and ends near the restaurant Malibu Seafood. This stretch of road has houses on both sides, but most of the houses are the beachfront homes that have direct access to the beach. The benefits of living in a beachfront home on Malibu road is the extra secludedness you get from being away from Pacific Coast Highway. You still have easy access to the road and Malibu, but what you get is the privacy and peace of mind. As mentioned above, almost no beaches are “private”, and that goes to same with the beaches by Malibu Road. There are many entry points along this road and you can often find beachgoers near the end by Malibu Seafood, as there is a big entry point and plenty parking spaces. Other than that, you can occasionally see beachgoers walking down the beach or surfers looking for surf breaks. In conclusion, getting a beachfront house in Malibu doesn’t only make you neighbors with some of the most successful people in Los Angeles, you also get the best breathtaking ocean and mountain views Malibu has to offer. Matt has been a Malibu real estate agent for over 30 years. Matt knows the Malibu area very well because he was a born and raised in the Malibu colony. Matt is well versed in city building codes, local geology and the history of many local homes. All of this is crucial in a tight market—inside information is key when testing the potential sale of a home, or negotiating for a property before it’s on the market. If you are in the market for a beachfront house in Malibu, you have come to the right place. 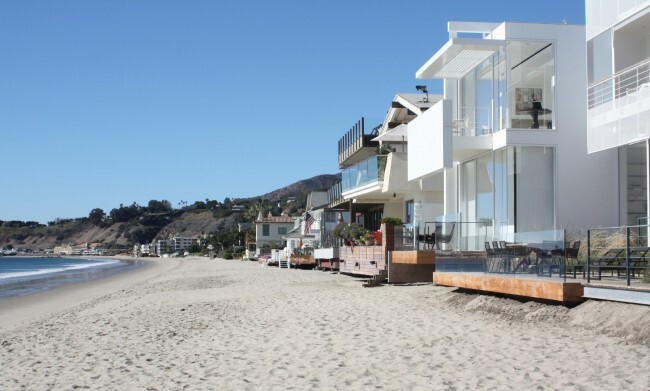 Visit our Malibu beachfront home listings here.